Back in April 2010 British Petroleum’s deepwater drilling rig, Deepwater Horizon, sustained a catastrophic failure causing a rupture at its drilling site in the Gulf of Mexico. 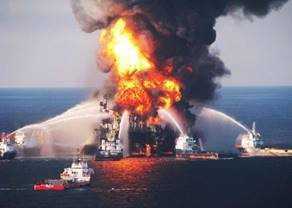 The well failure created an immense oil spill throughout the Gulf for four months. BP and Transocean worked diligently to stop the spill, but because of the depth, the underwater robots dispatched to stop the spill were sustaining failures caused from the extreme pressure, cold and salinity of the water. Our customer supplied an underwater robot capable of capping the well and stopping the oil spill. However, parts of the robot were succumbing to the hostile environment at the bottom of the well. Plasma Ruggedized Solutions engineering team supported an immediate solution for their robot and hardened it to function at extreme depths, cold, and salinity. Shortly after successful tests, a set of drones was deployed to the Gulf and the hole at the well site was capped. Our customer later indicated to the PRS engeering team that the valve assemblies previously used sustained about a 2% yield rate. However, subsequent to employing PRS’s hardening solution, that rate went to 98%. Today because of the extreme technical prowess Plasma Ruggedized Solutions has presented, PRS not only hardens the valve assemblies but is now responsible for the entire manufacture and assembly of a complete valve integrating our environmental protection solutions.